Dare something new during your winter vacation! The idyllic resort of Anzère offers many opportunities to expand your sports experiences. Thus, our store offers you in addition to many models of alpine skiing and snowboards, equipment such as ski tours. 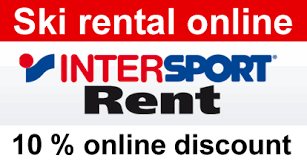 No matter what adventures you want to jump into, our INTERSPORT RENT rental experts are there to advise you and help you make the right choice. Crazy Corner gives you the opportunity to book online thanks to its partner Intersport. Book now and enjoy a 10% discount !